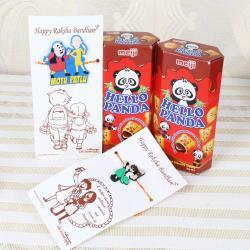 A Rakhi special combo designed especially for kids will be a great idea to amaze them in excitement. 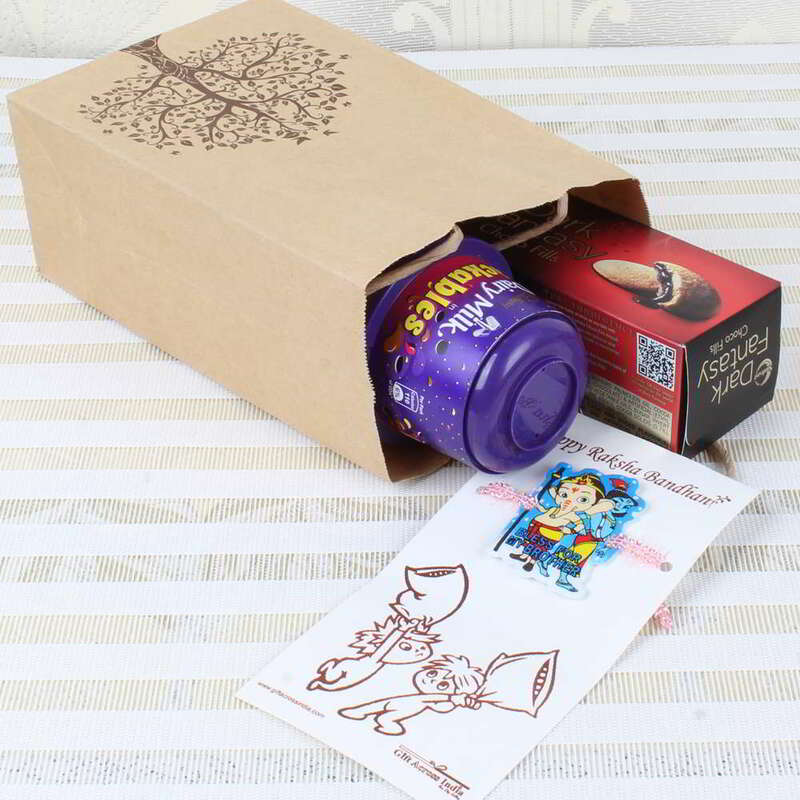 The combo has a pack of Cadbury dairy milk lickables, Dark fantasy Choco fill biscuit pack along with Ganesha Krishna Rakhi all packed in a gift bag. 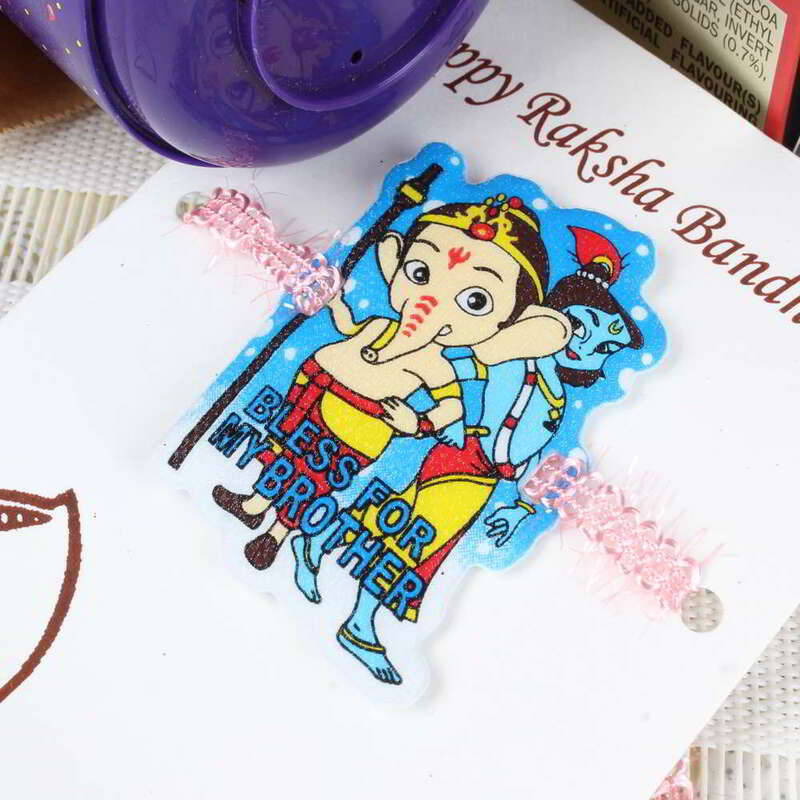 The Ganesha Krishna Rakhi is ted on a Rakhi special designer card to keep it safe. 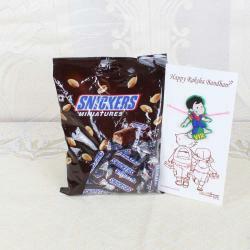 This combo will make a difference and will make the kids understand the importance of the festivals. The overall look of the combo is very cute. 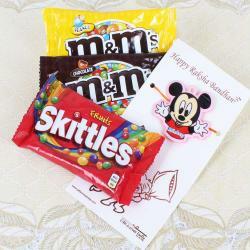 Send you love with this special pack and make them feel awesome. 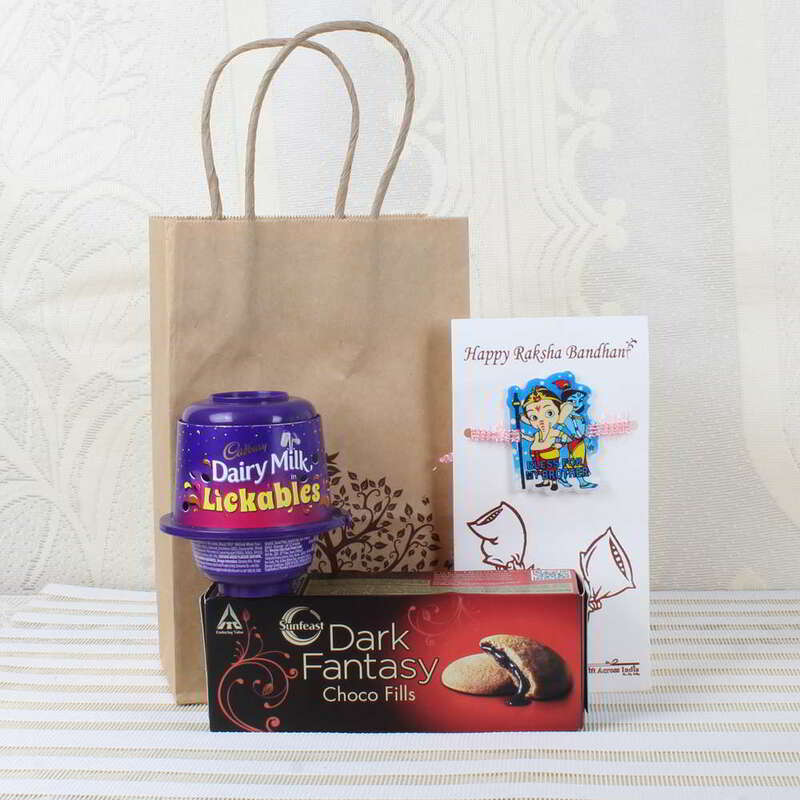 Product Consists: Cadbury Dairy Milk Lickables (Weight: 20 Gms) with Dark Fantasy Choco Fill Biscuit Pack (Weight: 75 Gm ) along with Ganesha Krishna Rakhi in gift bag.